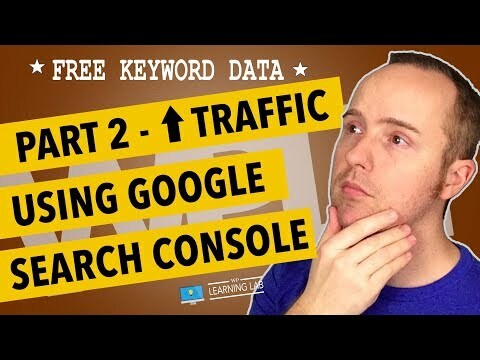 In this Google Search Console keyword research tutorial I’m going to show you how to find more keywords to add to your existing posts so that they can generate more traffic. Even though we optimize blog posts for just one or two main keywords, we often get traffic from hundreds or even thousands of keywords. Most of these keywords are listed in Google Search Console. If you can incorporate more of these keywords into your content you can potentially rank higher for them and get more traffic. I show you how to find them in this tutorial. Post videos of your WordPress success using the hashtag #WPLLCommunity!